SEATTLE — In a neighborhood lacking public parks, a traffic median has been redeveloped into the world’s first “Living Park,” meeting all the rigorous goals of the Living Building Challenge™. 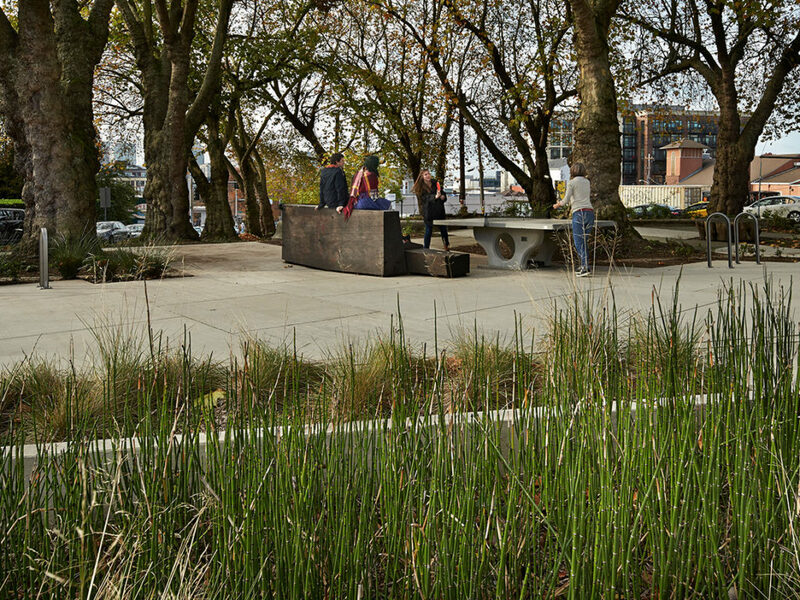 McGilvra Place, a half-acre pocket park on the edge of Seattle’s Central District, is the first project to meet the Infrastructure and Landscape Typology requirements within the framework of the Living Building Challenge. It now serves as an active neighborhood public space, with outdoor ping pong, benches, and native plants. “Neighborhood plans have long called for more green space in this area,” said Denis Hayes, CEO of the Bullitt Foundation. “And the sustainability features of the park made it much more compelling to the community and really set it apart,” he added. Point32, the development partner for the Bullitt Center, helped drive the vision for McGilvra Place and initiated conversations with the neighborhood and other partners about redeveloping the space. McGilvra Place is immediately adjacent to the Bullitt Center, which is also pursuing Living Building certification. The project was undertaken through a public-private collaboration between Seattle Parks and Recreation, Seattle Department of Transportation, Seattle Public Utilities, Seattle Parks Foundation and the Bullitt Foundation. In conjunction with the development of the Bullitt Center, a neighborhood group was formed to submit an application to the Seattle Parks and Green Spaces Levy Opportunity Fund. Due in large part to the innovative sustainability objectives of the project, it was awarded funding in late 2010. The Bullitt Foundation and the Seattle Parks Foundation led a capital campaign to collect the remaining funds needed to transform this triangular urban traffic median into a community park. 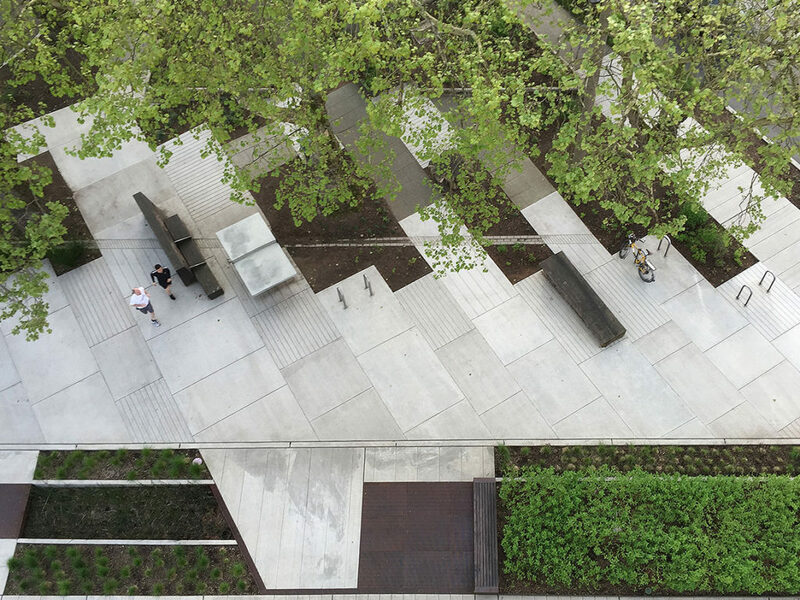 The Berger Partnership was landscape architect for the Bullitt Center and led the park design, with Springline Design providing civil engineering services. WS Contractors completed the work. “One aspect that made the project particularly challenging was meeting the materials Red List requirements in a publicly bid environment,” said Berger Partnership Principal, Jonathan Morley. “And to achieve that, it required a concerted team effort amongst all stakeholders,” he added. 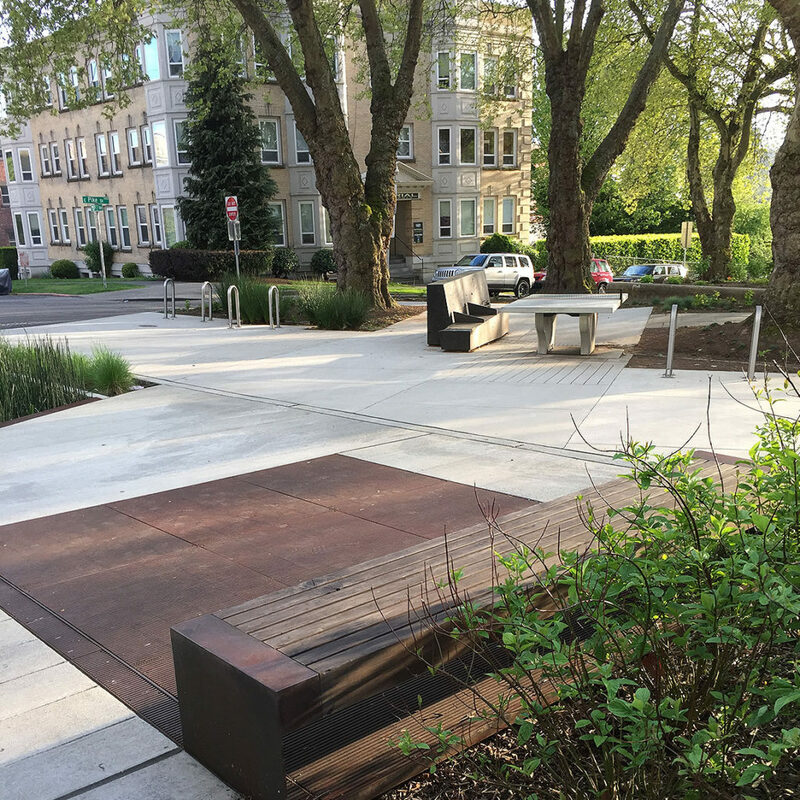 Improvements to the McGilvra Place Park site include protecting century-old London plane trees, transforming an adjacent street to a public plaza, replacing turf with native vegetation, installing park furniture made from reclaimed timber, adding a ping-pong table to activate the space and improving site accessibility. The project team created a safe, restorative, pedestrian-friendly public amenity, all while avoiding toxic chemicals, diverting construction waste from landfill and reducing stormwater runoff. “McGilvra Place Park, like the Bullitt Center that stands beside it, is both inspired and buoyed by the natural splendors of Seattle,” says International Living Future Institute Executive Director Amanda Sturgeon. 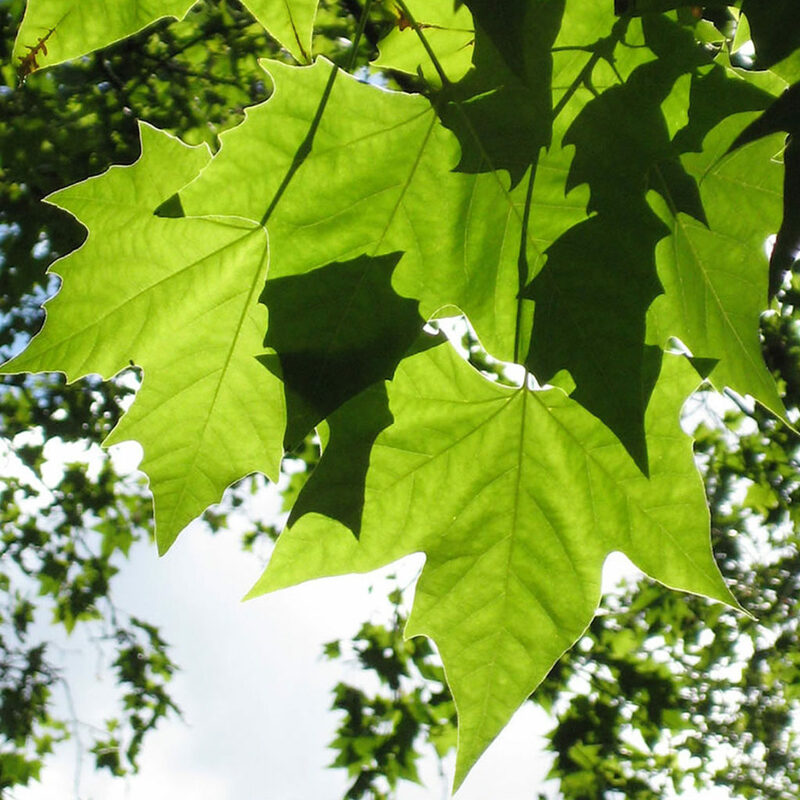 “With this pocket park project, the many stakeholders set out to salvage precious greenspace and protect century-old London plane trees. In the end, we wound up fostering unprecedented public/private collaboration and creating a Living Park space to nurture community,” she added. For more information on the park, see our project page.